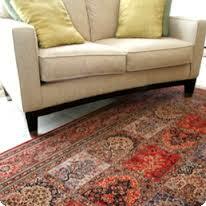 The average rug is made of delicate and demanding materials, and meter for meter rugs usually cost more than carpets. The fact that rugs cost more than carpets, and are more susceptible to staining and soiling should be enough make people consider professional rug cleaning. Our professional London rug cleaning service is the efficient and risk-free way to clean any type of rug to a perfect finish without risking its good looks, or having to break the piggy bank. Our specialised rug cleaning service in London is perfectly suitable for all types of natural or synthetic fibre rugs and will yield the best possible cleaning results every time. We will subject your rugs to the safest and most effective cleaning methods, as the entire cleaning process is handled by specially qualified cleaning technicians who have the required practical skills and service expertise to clean the rug properly and safely. The selected cleaning technique will be determined by the type of rug we are cleaning, and its current state i.e. the level and nature of staining or soiling sustained. Our rug cleaning in London is also the better alternative to any other conventional or home administered rug cleaning treatments as it will not cause damage or alteration to the rug’s fibres and their properties. More so, the cleaning equipment, products and materials we use are all professional grade and industry certified. This means that stubborn stains of both organic and chemical nature will be lifted right off swiftly and without a trace, or alteration to the rug’s colour fastness, dimensions or any of its other characteristics. Our London professional rug cleaning service is the most convenient and hassle-free cleaning option at your disposal as the entire cleaning process takes place on site, in the comfort of your own home. Our cleaning teams will arrive fully equipped for the job, so there will be no timewasting or unnecessary delays. 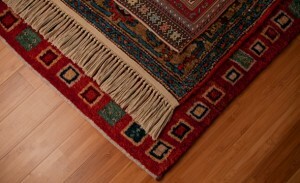 The rugs will be cleaned using a professional cleaning system, which allows for better results and reduced drying time. Generally rugs will be dry enough to walk on in a few hours, however this depends on relative humidity and ambient temperature inside the premises. The products and materials applied are nontoxic and ecofriendly, they pose no health risk to humans or animals. The rug cleaning service is conveniently available to all customers seven days a week, including public holidays, with flexible booking hours.